Backstory: British television, stage and film actor Tom Hiddleston brought the Marvel comic book villain Loki to life on the silver screen in 'Thor' and 'The Avengers.' This self-described blond curly "Gene Wilder" hair guy grew up in Oxfordshire, England and graduated from Royal Academy of Dramatic Art (RADA) in London, England. What you don't know is that Hiddleston plays the piano, guitar, drums, violin, flute, and trumpet. And not only that, he speaks French, Spanish, Italian, Greek and Latin. Tom Hiddleston is one of the most effective villains of his generation but in reality, he is a true Prince Charming. He's a master of the sartorial arts, a king of the red carpet, and makes one damn good bolognese. Hiddleston is notoriously private – and seemingly has zero Instagram presence which is the 2018 equivalent of being dark and mysterious. 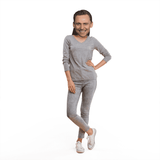 🤩DON’T JUST WEAR THE CELEBRITY, BECOME THE CELEBRITY - Hi there Hiddlestoners! 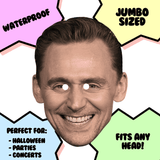 Time to rock this Tom Hiddleston mask that is perfect for any occasion and parties may it be Halloween party, get together or costume party!